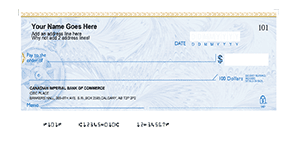 Buying your supply of cheques online for your business in Edmonton is a good decision. It can be hard to find cheques printing companies in Edmonton that will offer you quality-made, 100% CPA compliant cheques. You can broaden your choices by simply purchasing the cheques you need online. Longevity and experience in the printing industry. You would want to deal with a company that knows the ins and outs of the cheques industry so they can offer you better advice on which type of cheque to choose for your business. Their experience in this industry will also tell you how reliable their services and products are. Sophisticated materials needed to create reliable and safe laser cheques. If you haven’t tried laser cheques yet, you might want to consider switching now. Laser cheques offer the convenience and the safety that manual cheques can’t. 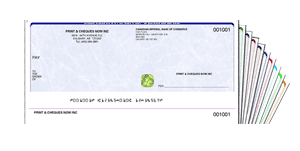 Unlike manual cheques, laser cheques are far less likely to be duplicated or tampered with. You can also have the printing company incorporate passwords or security keys. Look for those with the best price in the market. Compare prices and see which cheques printing company offers more cheques for the same amount of money. But make sure you also scrutinize the quality. You don’t want to buy cheap cheques that just might not have the security features you need. ChequesNow offer all these. Our manual and laser cheques are made from the best materials. The paper we use is the same as the ones used by banks in issuing cheques. We also have the best security features in cheques in the entirety of Canada. 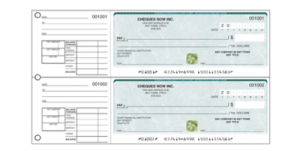 We make sure that every cheque coming out from our printers are 100% CPA compliant and boasting of great design. We also take pride in the number of cheques we print, which is more than the usual amount of cheque you get elsewhere. With our services, you get 50% more cheques and 25% more laser cheques with the same amount of money. Use our services and change the way your company’s payment system runs.